So you have a vehicle that you need parts for, and you’re thinking of visiting a salvage yard to find them… that’s a good idea. 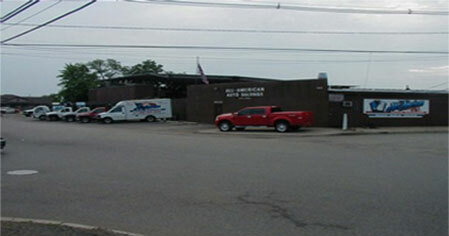 All American Auto Salvage in Rahway, New Jersey, is the place to visit for used auto parts in the tri-state area. 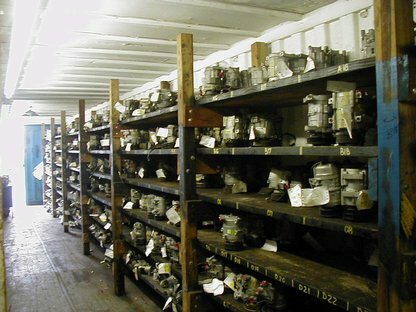 What’s some advice on using a salvage yard for used auto parts? For starters, there are generally two types of salvage yards: full-service or “u-pull-it.” With full-service yards, someone who works there will go out onto the lot, find what you need, and bring it to you. “U-pull-it” places will, instead, have you go onto the lot and find what you need yourself– and you’ll need to bring tools to remove the parts you need, so you’re doing the manual labor of acquiring what you need. Some yards are a hybrid– offering full-service and “u-pull-it” options. Next, different yards vary in how well they’re managed and organized. Some yards are a total mess– good luck finding what you need quickly and efficiently! Others are very organized in such a way that popular items are kept close to the entrance, and less popular items kept “out back” in the less-frequented, further from the cash register area of the yard. It’s usually pretty easy to tell how well organized a place is just by looking at it. Like yard sales, some salvage yards have better layouts and presentation than others. What are some parts you shouldn’t buy at a salvage yard? Generally, items such as brake pads, are best bought brand new, since they tend to deteriorate over the years on vehicles sitting out in the cold and ever-changing weather. Other parts, though, including engine/body parts, gauges, electrical wiring and weather stripping are all worth a look at a salvage yard. If you’re not the type of person who knows all about auto parts, bring along someone who does to help you pick out the right/best parts– ideally, bring along a trusted mechanic with knowledge of your needs. All American Auto Salvage is the kind of yard that provides a thorough inspection of all parts before they’re sold to the public. If you have any questions before making the trip to Rahway to see the yard in person, please call 732-574-1945.